The Thunderbolts-Dorsett, team, which on Saturday became the PGF 16U Premier National Champions. You couldn’t be blamed if you were found rooting for Keith Dorsett’s 16U team this year. 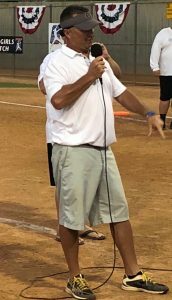 After losing the PGF 16U Platinum National Championship last summer to the Firecrackers-Utah team 7-4, this year’s squad tasted great success over the last two months including winning a title in Boulder and finishing second at the DeMarini Invitational, but the one goal the team so badly had eluded them: a national championship. Still, there was concern that the team would even be able to field enough players as losses impacted the team including one team member who had to go to school and another, his daughter Abigail, who had to stay home in Alabama after turning her ankle.